Sen. Kay Hagan (D, NC) shows us how to pocket $115K of taxpayer money! YOUR money! Yeah, let me interrupt this, really quickly: turns out that Kay Hagan is materially profiting from that trillion-dollar raid on the Treasury that the Democrats staged in 2009. Like you do. Or, more accurately, like cash-obsessed Democratic Senators do when the money is just sitting there, right out in the open. 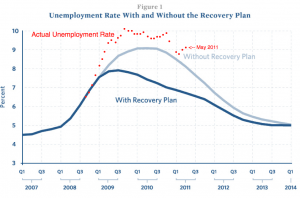 …but kept all of the savings, sending none back to taxpayers who had funded the stimulus grant. The company’s original application stated the total project would cost $438,627, and said JDC would contribute “leveraged funds” amounting to $187,983, or 43 percent of the total. As the project reached completion, however, JDC revised the total budget downward by $114,519 and applied all the savings to its share, keeping all the taxpayer funding. #rsrh Government getting in the way of its own neo-Keynesian policies? Many environmentalists oppose the plan due to the environmental damage from the massive dredging operation that is necessary to build a new bridge. Other environmentalists support the bridge, but claim that a wider bridge without room for public transit would increase sprawl and lead to a higher carbon output. Local politicians and planning associations, meanwhile, have added their own lists of concerns to the pile. These kinds of complaints are unfortunately all too typical of construction projects today. There are so many controversies, so many lawsuits, and so many competing interests that negotiations take an enormous amount of time and money. The time between planning a project and actually carrying it out stretches into decades. To those who bemoan the lack of “shovel-ready” infrastructure projects in America: this is why. For the record, I supported Obama’s stimulus – though disliking some details – and, under similar circumstances, would again. The economy was in a tailspin; the stimulus provided a psychological and spending boost. But how much is less clear. As Romer notes, estimating the effect is “incredibly hard.” For example, the Congressional Budget Office’s estimate of added jobs from the stimulus ranged from 700,000 to 3.3 million for 2010. #RSRH QotD, I Wish I Had Said That… Hold On, I *Did* edition. A hopefully helpful ‘stimulus’ analogy. Imagine, if you will, you have a friend, and he’s a drunk. And he’s in trouble: he needs five hundred bucks to get out from under his bills, but he doesn’t have it, and things get a little worse every month because of it. So you give him five hundred bucks… and he goes on an epic bender. Now, here’s the question: would he have been fine if you had given him five hundred bucks for the bender, and another five hundred for his bills? Or a thousand? Of course not: doubling or tripling the money that you gave him would have just meant that he would have gone on a longer bender, with better ingredients. Because that’s what drunks do. That’s why they’re considered drunks. Christina Romer, the former chair of Obama’s Council of Economic Advisers on Friday offered a rather strong opinion concerning the announcement by Standard & Poor’s that the credit rating agency downgraded America’s debt to AA+. #rsrh Stimulus money ‘stimulating’ ‘diversity’ in Nebraska. Translation: Yes, I do believe that, but I’m too chicken[expletive deleted] to say so. I mean, come on. I’m surrounded by Nebraskans, here! OK, now link to me. Even for Barack Obama, this is simultaneously: shameless; and clueless. Just in case any viewer missed his class-clashing message, Obama referred to corporate-jet owners at least three more times before he took his second question. The Infamous, Updated, Romer-Bernstein Chart. For those without access to the picture: it’s a modified version of this graph, which was used to sell the idea that with a stimulus, unemployment would not rise above 8%; and that without a stimulus, unemployment might rise all the way to… 9%!!!!!! That last sentence is what usually gets emphasized in these discussions, and for good reason (it was a nitwit prediction). But I’d [like] to note that according to the original chart we were forecast to be having about 6.5% or so unemployment at this point, with that number dropping rapidly. For that matter, I’d also like to note that neither Romer nor Bernstein are currently employed by the Obama administration; they were more or less booted as quietly as could be managed, once the magnitude of the stimulus disaster was fully grasped by the White House. Alas, the damage has been done. #rsrh Where did the stimulus money go? Short, sarcastic answer? We dragged it out into a field, piled it all up in a heap, and set the heap on fire. As federal stimulus grants flowed into state- and local-government treasuries, borrowing by these same governments declined steadily. Instead of issuing more debt, state and local governments used most of the federal stimulus grants to finance their expenditures. To put it another way, the federal government borrowed funds from the public and transferred these funds to state and local governments, which then used the funds mainly to reduce borrowing from the public[*]. In other words: we dragged it out into a field, piled it all up in a heap, and set the heap on fire. *If this sentence did not make you wince, do the Republic a favor and STOP VOTING. You are undoubtedly choosing… poorly.